Garage: "Parking Area, Total Parking Spaces: 1.00"
Oceanfront and move-in ready! This fully furnished condo is 1 of 9 in the small complex of Costa Blanca Condominiums. 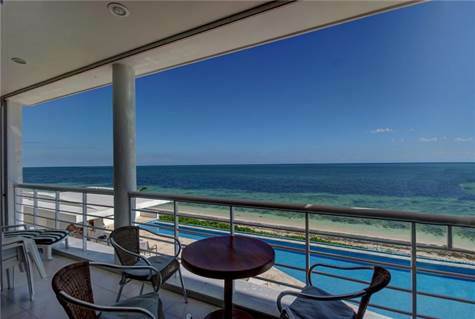 The oceanfront living/dining/granite kitchen is plenty spacious for long term living or relaxing vacations and features an oceanfront balcony. The master suite also overlooks the water! It is spacious, features lots of storage, and has an ensuite marble bath. The large guest room easily sleeps 4 and also has lots of closet space -- great for locking off any of your necessities, should you decide to rent! The condo's main bath is conveniently located just steps from the guest room. This complex rents well, has off-street parking, a wonderful beach, large swimming pool, and a full time onsite caretaker.